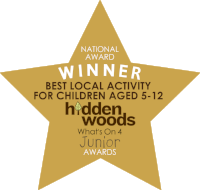 We are an award-winning woodland activity centre, based in 80 acres of ancient woodland just a stone’s throw from Bath, Frome and surrounding area. We have sensitively developed four fantastic camps around the woods, all of which boast a great variety of ‘wow’ features, like sheltered fire pits, rope swings, mud kitchens and stream play areas. Having a choice of camps at our disposal has several key benefits, such as ensuring that we do not impact on any one area too heavily and being able to choose the camp best suited to the group, conditions and activities on any given day. The woods have a rich variety of flora and fauna, including a resident pair of buzzards who are regularly seen perched in their favourite tree near our base. In the spring a large area of the woods is carpeted with bluebells – just one of the seasonal delights that visitors to the woods can expect to come across. Throughout the development and ongoing management of Hidden Woods, our aim has been to create a place that will capture the imagination and create a sense of wonder both for children and their carers. We offer an exciting range of Forest School, bushcraft and other outdoor activities to children and adults of all ages. Complete with mighty oaks and babbling brooks, our beautiful purpose-built camp is the perfect place to connect with nature in a fun, adventurous and (we’d like to think) quite magical way. At Hidden Woods, some of the hard skills that children gain are an improved knowledge of the natural world, an understanding of appropriate use of tools and risk management skills, bushcraft and survival knowledge, environmental arts and crafts. We also very much focus on soft skills such as co-operation, sharing, empathy and the development of emotional language. Founder Steve Sutherland brings together his passion for the outdoors and his expertise in event management to create wonders at Hidden woods. A level 3 Forest School leader, qualified in mountaineering, expedition leadership and bushcraft with enhanced CRB disclosure and full first aid training, he knows a thing or two about the serious business of having fun outdoors. Having spent his childhood near Bath getting muddy, climbing trees and learning about the natural world, Steve is now driven to provide those same opportunities for others. Never having really grown up, he still gets excited about the possibilities and surprises that nature presents for us all. If there’s a wheelbarrow with a toddler grinning form ear to ear inside it, you can bet that Steve is at the helm. Engaging and empowering youngsters comes as naturally to Steve as stoking the fire and his easy-going sense of fun is utterly infectious. Steve returned to Bath with his young family in 2011 to develop Hidden Woods and pursue his goal of sharing the rich experience of nature that our stunning woodland camp provides. He is supported by a highly experienced team of outdoor practitioners, Forest School leaders and play workers, whose combined skills enable us to deliver exceptional events. His lips never without a song, or a word of encouragement and his eyes always shining with a sparkle, Barney is a local legend and a key member for the team who has been with us from the very beginning. His gift of bringing out the best in people coupled with his deep respect for the natural world, proficient woodsman skills and years of experience make him an outstanding mentor and true treasure of the camp. 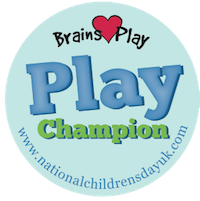 Barney is a Level 3 Play leader with enhanced CRB disclosure, training and qualifications in Outdoor Paediatric First Aid, Basic Food Hygiene, Inclusion, Challenging Behaviour, Green Woodwork and Bushcraft. With good coffee and good company Barney can coax any campfire into a heartwarming and rousing gathering for young and old alike. Lily grew up in the countryside, just a stones throw away from the Hidden Woods base itself. Having developed a keen appreciation for the natural world from a young age, Lily went on to study a BSc in Applied Zoology. Since then she has taken on various roles surrounding her love for the outdoors including; working as an ecologist, working on the popular BBC Springwatch programmes and spending time in Minnesota, USA, working with wild American black bears. She is helping to inspire the next generation of nature lovers by getting out in the woods and teaching people of all ages about the wonderful wildlife and nature that we are lucky enough to have right on our doorstep! Lily is First Aid trained and has enhanced DBS disclosure and a dynamic and enthusiastic member of the team that the youngsters adore. Julie is an environmental artist whose work reflects her fascination with ecosystems, sustainability and the fractal nature of our world. Lukes passion for the natural world and his gift for art and creativity are enthralling to young and old alike. With a kind smile, easy going, approachable and disarming nature, his is deftly skilled at supporting youngsters with additional needs and challenging behaviour. The father of two young boys and with 5 years experience working in primary schools, Luke knows just what it takes to engage and empower the next generation. Luke loves to pass on his knowledge and has a keen interest in primitive living skills and plant medicine. Equally happy weaving, foraging or joining Barney in song and with CRB disclosure he is a calming and capable asset and much loved member of the team. Steve loves sharing his enthusiasm for the great outdoors with young people. Steve is a Level 3 Forest School leader, he is also a qualified science teacher with almost 20 years of experience. Laura is a beautiful soul you will often see down at Beech Camp with the children sharing her enthusiasm for the woodland environment with the Hidden Woods tribe. Laura is a yoga teacher in training and busy home educating mum of two who is deeply passionate about what outdoor learning can do for our young people and the opportunities it creates. When she’s not in the woods, Laura is beavering away at Hidden Woods HQ managing our marketing, advertising, social media and, the most challenging job of all, keeping Steve in check. A warmhearted free spirit, who’s hospitable Spanish nature make all who meet her feel welcome and instantly at ease, Laura really is our heart behind the scenes and makes a pretty mean tray-bake too. Julia is a Level 3 Forest School leader and outdoor learning practitioner based in Bath.